Still trying to decide which Kindle to buy? Our user-friendly Kindle comparisons, reviews, and explanation of the features will help you choose the right e-reader or tablet based on your interests and needs, whether you're buying a Kindle for yourself or for a gift. These comparisons and reviews are based on my personal experience with multiple Kindle models. Our family has owned five of them, so I do know a thing or two about my favorite e-reader and even the new tablets! Read on for information about how to choose and equip the Kindle make and model that suits you best. We'll show you where and how to buy books (and other things) for your new device and make some suggestions of choices that you or your gift recipient will love. Ready? Let's go figure out which one you need. 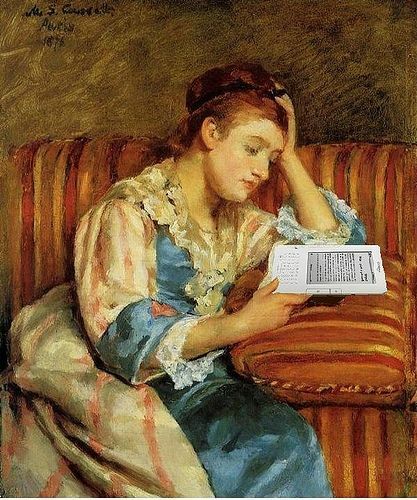 Because if you read, you do need to own a Kindle! POLL: Is the person you're shopping for a reader or would she prefer a gadget for movies, games, or surfing the web? If you're shopping for someone specific, which Kindle would you probably choose? Probably a Kindle for reading. More likely a tablet for movies, fun, and games. I'm not shopping for an ebook reader or a tablet right now. Just passing through. Paperwhite, Absolutely the Best Choice for Reading - Choose the most advanced reader for someone who just loves spending time reading books. While I have no hesitation at all recommending the current 6-inch Kindle, the $79 model, I'd also suggest that you buy a light for that model. The Paperwhite reader, however, has a layer of light built into the screen, so no additional reading light is needed. The light layer is actually above the print, not backlit, so it's easy to read even outside with no glare. Very easy on the eyes, which is why I recommend this device for people who want a dedicated ereader for reading books. I can tell you many more reasons to choose the Kindle Paperwhite as the best e-reader to use primarily for reading, but the easiest way to find the answers to your technical questions is probably to click the link and read all the specs and details about this device. Don't miss the customer reviews either. Real-life Kindle customers provide the best information you'll find anywhere and demonstrate why the PaperWhite is the best-selling Kindle model. I now own a new, 2nd generation Paperwhite reader and I absolutely love it. It's light, easy to handle, and the screen is awesome. Works wonderfully in any light with no glare, even outside in bright light. Really! Bottom line, if you want to know which dedicated ereader is best, this is the one to choose. If your budget can't quite afford it, choose the regular Kindle and add a reading light. Or choose the beautifully crafted Kindle Voyage or the new, top of the line Oasis reader, more expensive but the ultimate e-reader on the market. This is the current (2016) version of the Paperwhite reader, the one I own and use regularly. Its improved screen with twice the number of pixels and, especially, the gorgeous new font and screen layout make e-reading a breeze. Click on the picture to read more about it and see an example of the beautiful new font, designed to make reading even easier. Announced on April 13, 2016, shipping on April 27th, it's the new, ultra-thin Kindle Oasis. Talk about battery life, the built-in battery that comes as part of a beautiful leather case (choose black, merlot, or walnut) will keep your Kindle charged for months. Seriously! What else is new? You'll be amazed at how light and thin this reader is. It's ergonomically balanced, too, with a comfortable hand grip that can be used on the right or left. To see it, click on the picture or the "Buy Now" button and check out photos, video, and all the specs on the Oasis product page. Still Trying to Decide Which Kindle to Buy? Generally, It depends on your interests and your budget. Models start at just $79 for the simple reader and range to the top of the line Fire tablet HD models in multiple sizes. No wonder you need help choosing! Obviously budget is a consideration, but even if money is no problem at all, the top of the line model isn't necessarily the best choice for you. If you (or the lucky gift recipient) simply love to read and you're able to connect via wi-fi to a network, then I'd go with either the $79 Kindle or (my personal favorite) the current-generation Paperwhite, the latter of which has a built-in light (read more about it immediately below). Both are awesome e-readers. This past fall, the top-of-the-line Kindle Voyage joined the lineup and it's a winner as well if you want a great e-reader. However, if you love watching movies or TV shows, or love magazines with lots of colors, or love to play games online then I'd suggest one of the Kindle Fire HD tablet models. The prices on these models continue to drop as the quality rises. I'll admit it - I'm very tempted to upgrade my 8.9-inch model from last year and I love it! I've provided some personal Kindle reviews below based on my experience as a long-time owner, and you can find all of the models in Amazon's store. Each model's product page includes an extensive description as well as a comparison chart to help you make the right decision. I won't try to duplicate those here. If after reading my reviews below and the information in the store you're still not ready to choose one, or you still have questions or just want another opinion, do not hesitate to ask in our guestbook at the bottom of the page. I love talking about my favorite gadget and I love answering questions, so I'm always more than happy to help. 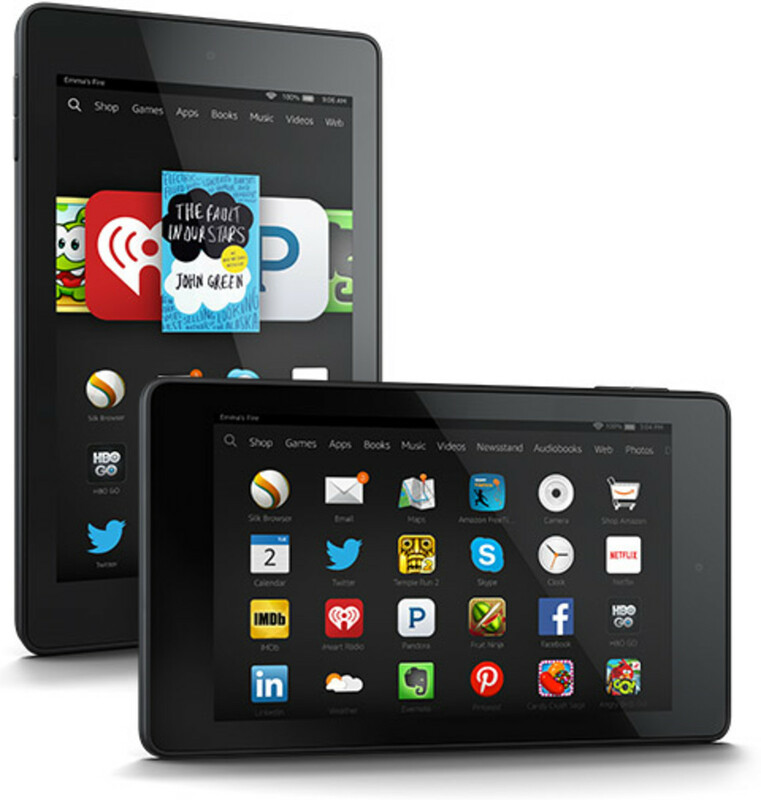 How About the Kindle Fire Tablets? If she loves books and magazines in brilliant color, or watching streaming video, or listening to music, choose a Fire! 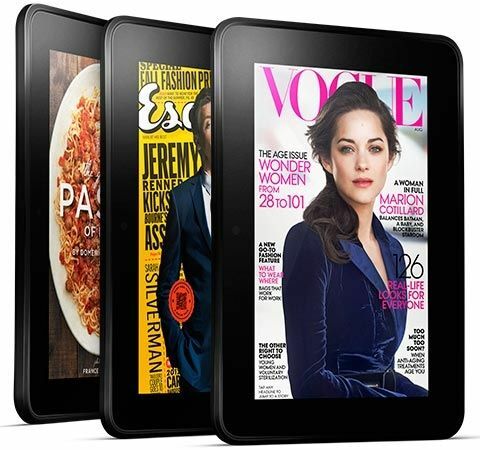 Enjoy books and magazines in brilliant color when you choose a Kindle Fire! Click the link to see the $49.99 Fire product page with lots more details than we have room to supply here. It's a Fire tablet but, yes, you can read on it it, too! I have totally fallen in love with this "economy" model tablet. In my opinion, there's nothing cheap about it. It's awesome and works great! This is a 7-inch model, priced at under $50. Play games, choose from thousands of awesome apps, watch movies on it, and it's great to read on, too. I use mine every single day! I already had the original Kindle Fire, first generation, and I thought it was good. The newer versions just keep getting better so that now this model, which is a lower resolution than the 6, 8, and 10-inch current Fire versions, is still better than the original. Yes you can spend more, but for a 7-inch tablet, this is awesome choice at a great price. Try Kindle Unlimited Free for 30 Days. Watch how it works. Want the Big Screen Version? Choose This 10-inch Model. The big-screen Kindle Fire is the top of the line! The big screen makes it easy to surf, watch movies, read books or colorful magazines (one of my personal favorite pastimes). I love the sound on mine - it's like personal surround sound, better than my TV - and I have the older model! 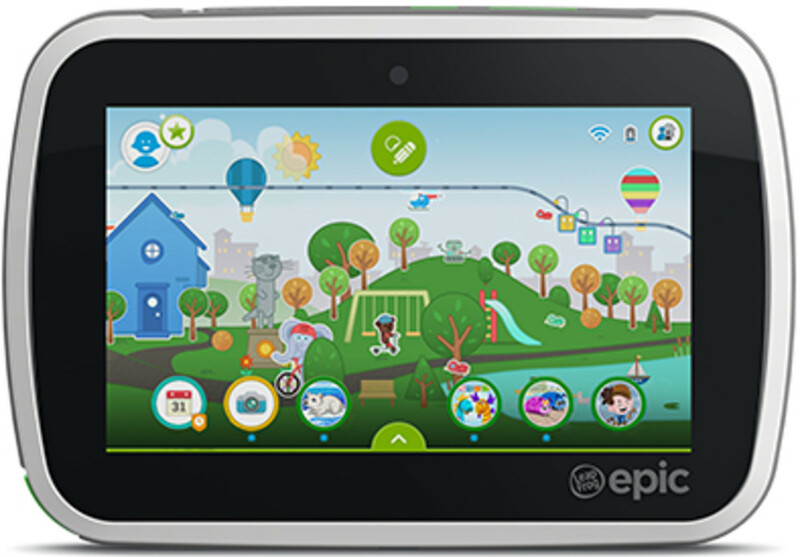 This Fire tablet is optimized for many features, which you can read about on the product page. Amazon's app store is full of fun as well as useful apps that you'll love, with more being added regularly. (What is it with apps that they seem to multiply like rabbits? Anyway, moving on. . .) You'll want to join Amazon Prime to take advantage of the video library that's included with Prime for free. Did We Mention? All the Fire Models Now Include Cameras and integration with Skype to help you stay in touch! 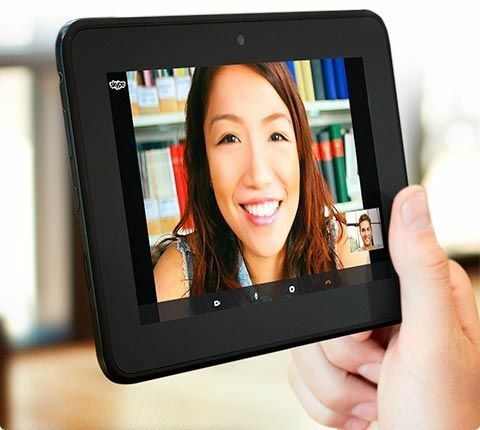 Choose a Fire tablet to stay in touch using Skype! Should I Choose a Kindle With Special Offers or Without? Every time I've had a choice when buying a Kindle, I've gone with the choce with special offers. The offers are non-intrusive, never appear within the body of the book you're reading, and sometimes they're great offers that you won't find anywhere else. The price difference isn't great, but I say choose "with special offers" and use the money you save to buy yourself another book! You'll want to protect your investment, probably with a case, although a sleeve would work beautifully for the smaller model and even a decal or skin would be perfect for the small Kindle. There are so many - choose something you know she'll love! When you're shopping for a case, make sure you choose one for the correct Kindle model. Which type of cover do you need? That's really a matter of personal choice and how you're going to be using your reader, and of course which device you've chosen. If you take it with you wherever you go, make sure the case is nice and sturdy. In fact, in that case I'd say buy the best cover your budget allows. If you just read in bed at night, then a sleeve or lighter-weight case would be fine. A skin isn't necessary at all, but it's really fun to dress up your device - and a good way to tell them apart if you're a multiple-Kindle-owning family. Buying for "her"? 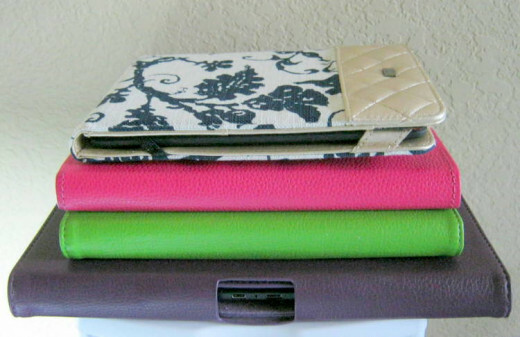 Even if she already has an ebook reader, a new case or cover can be a great gift choice. The Origami case is a wonderful choice! With a larger tablet you might want to choose a keyboard case. This one is for the current generation 10-inch Fire. Very good reviews, very versatile, very convenient! Include a Book or Two - How to choose? Think of your interests and go from there. You can order books when you order the Kindle then when it arrives, they'll be right there on the device, ready to read! Here are a couple of popular titles to get you started. Just click the book covers to read the book reviews or to choose from the thousands of others available to read in under 60 seconds on your reader! Oh, and did you know you can try the book for free? Look directly below the "buy" box for the book and you'll find the "Try it free" box. Choose that and you'll receive a sample of the book to see how you like it. Buy the book or not once you decide. Another cool Amazon tool! Choose a Kindle Game or App for your Kindle Fire tablet. Click to check out the Kindle price. As I type this, you'll pay almost five times more for a print subscription to People Magazine. Saving money is a great reason to read on Kindle! You'll love reading magazines on your Kindle Fire tablet! There are a couple of different ways that publishers format magazines for the Kindle. Some are basically pictures of each page, while other magazines have an interactive interface where you can click to expand a story or for more information. You subscribe to some magazines directly for Kindle, while in some cases your print subscription entitles you to receive the magazine free using the magazine app. Either way, colorful magazine pages are displayed in all their backlit glory on the Kindle Fire - and they're beautiful! Currently, a search for all magazines on the Kindle Newsstand returns hundreds of results. I'm sure you'll find something she'll love (or you will). Even better news? Kindle magazines come with a 30-day free trial! If you don't like it, just cancel the subscription and pay nothing at all. A great way to try it before you buy it. Or you can buy the current issue if you're just interested in a specific piece of information. Ah, one more thing. Magazines are equally beautiful on the small screens and the bigger 8 and 10-inch Kindle Fire screens. On the smaller one you might need to "pinch and spread" the text in places to make it readable, while you'll do that less often on the bigger screen. Personally, I read magazines on my small Fire tablet and have no trouble at all. One more convenient option for buying magazines is available, that of purchasing a single issue at a time. So if you don't want to subscribe but just want certain issues through the year, that's easy to accomplish. The options are simple to choose when you shop in the magazine store. Ready to Choose a Kindle? When you're ready, CLICK HERE to shop in the Kindle Store. Still have questions? I'm happy to help, so leave a note in our guestbook below with your question, or just say hello to let us know you were here. Thanks for reading! 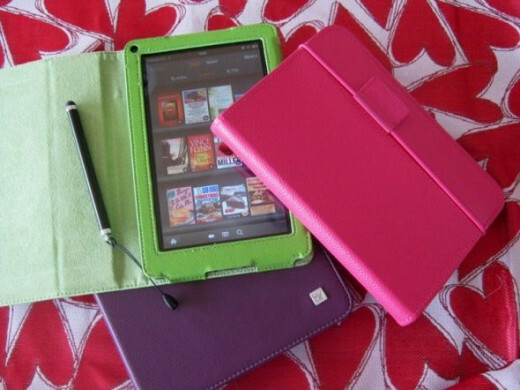 GUESTBOOK: Are you buying a new Kindle reader or Fire tablet this year? Have additional questions or need an opinion? Arussell4, thank you for your kind comment and your question. I've been very pleased with my Paperwhites so I'd always say you probably can't go wrong with a new one. However, I'm pretty interested in the page press sensors on the Voyage though, to be honest, I haven't tried one yet, so I'm just speculating. I think if I were you I'd take a look at how you hold the Paperwhite and how you turn pages, then I'd look at the diagram on the Voyage product page to see where the page press sensors are located. Hold your Paperwhite the way you normally do and imagine just barely moving your thumbs to press those sensors. I think I'd really like turning pages that way and I think I could get used to it pretty quickly. Plus with the ambient light sensors that self-adjust, those are two very cool features that very likely will sell me on the Voyage next time I'm ready to upgrade. I hope that helps! Amy, that's a tough decision. Since she really likes the bigger screen, I think I'd go with the HD10. The price right now is excellent and since Amazon will stand behind it if there's a problem, it probably would be worth it to give the bigger one a try. There are still plenty of really good reviews for the 10-inch, so I think it's worth taking a chance on. If there is a problem, anything at all, just make sure to contact customer service right away. If you're still not sure, though, I'm betting she'll be super-impressed with the improvement in the 8-inch over her old 8.9-inch, probably enough that the size won't be an issue. Good luck! I want to buy my mom either the kindle fire 8 or 10". She has the 8.9 which seems to be at the end of its life, really slow and kicks her out of her games conatantly. She mostly uses it for games. She says the 7" my dad has is too small. And I see the resolution is the same for the 8 and 10", so the reviews on the 10" are poorer. I can't tell if the 8 might be better. Do you have a recommendation? Gwenda, for those who don't have wi-fi or don't want to bother connecting their device to it, having 3G means they'll never be without a connection since the 3G uses the same signals a cell phone uses. If you have a home wi-fi and aren't concerned about needing a wi-fi "hot spot" when you travel, then you won't need the 3G feature. What is the advantage of having 3G as well as WiFi on a Kindle? 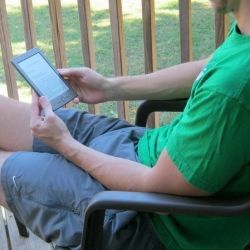 LillyGrillzit, I absolutely agree with you about the Kindle being an enhancement to books, not a replacement. Very well said. Thank you so much for stopping by! Great article. I LOVE my Kindle. I have had a refurbished 1st Generation Fire for around four years now. Love, love, love. It hasn't taken place of books, it is merely an enhancement. @marcroftfam: Thanks so much, marcroftfam! I just found you on HubPages. Glad you're making the move with us! @invictus95: Thanks. I appreciate your visit and kind comment! I have a kindle fire and it's pretty cool. This lens is really in depth when it comes to kindles! Yes, this Kindle is great for a gift! @Susan Zutautas: Sounds like a great gift idea! I'd like to get one for my mother in law as I know she'd love a Kindle. @mrhao91: Glad to know that, mrhao91. Thanks for stopping by! @tkdrules29: Thanks for the feedback! 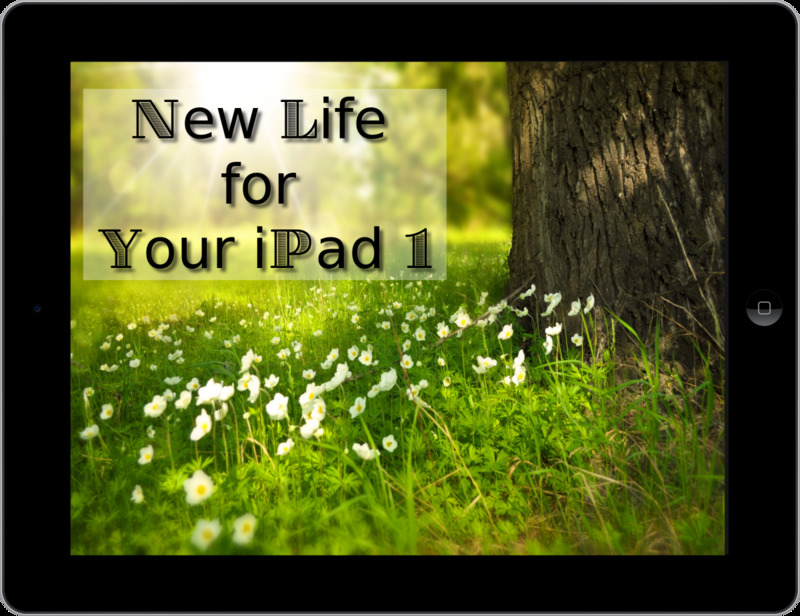 @susan-feeney1: To read in the sun, choose either the Kindle reader or the Paperwhite. You'll need one of the Kindle Fire models to do the rest, but unfortunately you won't be able to read in the sun. That's when you need to consider two models. Since you can get a Kindle reader for just $69, you might want to choose that plus the Kindle Fire HDX which you can get for $229, wifi only (or $329 if you want to go for the 4G). The pair add up to under $300 and you'll be able to do all those things you mentioned (again, though, to make the Fire mobile you'll need another $100). When I think of how much I paid for my 1st generation Fire and even my Kindle 1, I'd say you're getting quite a bargain! If you're not in a hurry, keep your eye open for sales and save (usually) up to $40 which almost gives you the Kindle reader free. Decisions, decisions! :) I hope my answer was helpful. @mrssc: Yes, absolutely. Search "NKJV Bible" from the Kindle store and you'll see several to choose from. If you were to decide on a Kindle Fire tablet, there are also several excellent Bible apps, but they're just for the Fire, not for the Kindle or Paperwhite. @SusanDeppner: P.S. One more thing. Feel free to click the Amazon orange buy buttons on this page. They don't obligate you to purchase anything, but you can examine details from those product pages. @mrssc: As an English teacher, you'll really love Kindle! It's easy to learn how to use it once it's in your hands. To answer your questions, no books come with it (except a built-in dictionary and a couple of other similar things) so yes, you get to choose what books you want on yours. Many are free; most are not, but they're almost always significantly cheaper than even the paperback version. Books that aren't free range from 99 cents to, oh, 14.99 or so but that's unusual. Bestsellers tend to run around 9.99 or maybe a little more. I have a page where I feature a free bestseller and a free paid title every day - you can find it at http://bit.ly/KToday. I'd also advise that you visit the Kindle store - http://bit.ly/ChooseKStore - and look around to get to know how it's laid out and how to find things. Look for the bestsellers - there's a paid list and a freed list. Look by category. Search by title of books you know you'll want. A lot of older classics are free, republished from the public domain. It's a lot of fun to browse. When you're ready to order the Kindle you can also go ahead and order books which will be on the Kindle when you open it and charge it up. Generally, you'll need Wifi when you purchase additional books, though they can be downloaded through the computer (wifi is recommended, or 3G/4G depending on the model Kindle you choose). See if that's enough information to get you started. If not, let me know, but go visit the store and read Amazon's detailed explanations of the Kindle you're interested in. Really, you don't have to be a technical genius (I'm certainly not) to understand it. Have fun! Hi I am very new at all this technology but I know I need a Kindle for my job as an English teacher, my question is how free are the books on the kindle, do I get to choose which books I want on my kindle or are they already in-built. Also if I want a specific book and can't find it on my Kindle, how much does it cost to download it? @dnoble33: Great question! You know what? I've honestly never compared the two side by side outdoors. So, here's what I did (since I don't have a current Kindle here at the house - son #2 and DIL #1 have those). I just took my Kindle 3 and my Paperwhite outside and walked from the shade into the bright sun with both of them open, side by side. Both were perfectly fine in the sun and I would say the current Kindle is comparable (if not slightly better) than the Kindle 3. So if you're not worried about reading at night and you don't have a need for the Paperwhite's other features, I'd definitely save the money and go with the Kindle. It should do fine for you outside. Spend the difference in books or a nice case. Let me know how it works out! Thanks for all the helpful info. I have one question i don't see answered anywhere! I understand that the 'light' feature of the paperwhite is helpful for nighttime reading, in dark places, however that's not a concern of mine. I'm more interested in being able to read outside with sunlight, etc. Is the regular Kindle as good as the paperwhite for this? I'd like to save $$ if i could. @budgi3bab3x0x: Thanks for stopping by, budgi3bab3x0x! I have a page about waterproof Kindle cases, in fact: http://susan52.squidoo.com/kindle-waterproof-cover... Glad you found some helpful information on our page! Heeeeyyyyyyy!!!!! Just wanted to say thanks for the info. I have been in the market for a tablet for a while now and saw how cheap kindles were. I thought I might do my homework just in case I may make a mistake. This has helped so thanks for that!! Ooohhh!!! Before I forget!!! Have you heard or seen anything about life proof or waterproof cases??? Hi! thanks for all the information. I'm one of those people who loves collecting books but I've heard a lot about kindle from my friends and thought perhaps it will easier to carry it around while travelling. I was thinking of $69 e-reader if i do decide. Your thoughts? @ashleydpenn: Very happy to know you found some useful information here. Thanks for the feedback! Thanks for a very comprehensive lens. I've been thinking about getting a reader/basic tablet for a while, but it's a minefield out there! Your lens has cleared up a few things for me. Many thanks. @Adventuretravels: Good strategy with your son! Actually, I know people who still have their original Kindle from 2008 or so and they're still going strong. My current oldest Kindle is almost three years old now and is perfect, but I did get a Paperwhite and use that one more than the other one simply because of the improved features (I love the touch screen and the lighted screen). As for the Fire, my 1st generation Kindle Fire is still awesome, but I have to say that even though I expect it to last far more than three years, the newer models actually are "new and improved." So shelf life-wise I feel sure you'd be good for more than three years. Feature-wise, it's hard to say what improvements will be available in the next couple of years. The good news for you is that the prices have come down. You'll get a lot more bang for the buck with a Kindle Fire HDX now than I did a couple of years ago with the Kindle HD. Hope that covers your question. If not, just let me know! We got my son a Paperwhite and he loves it. He's a reader and we didn't want any distractions. I'm thinking of getting myself a Fire - you may have covered this somewhere in the lens but I've heard that Kindles only last about 3 years is this correct? @susansstudy12: Hi Susansstudy12! Good news! Yes, Kindle comes with wi-fi so you can use it anywhere that has public wi-fi (some places may require a password). The other part of the good news is that you can also download a book from your computer to your Kindle via the USB cable that comes with it. That's slower, but it can be done. If your budget can afford it, I'd definitely recommend the Paperwhite for you but if your budget is tighter, you should be very happy with the $69 Kindle (you'll need a book light for that for reading in low light situations). I wish you the very best with publishing your book of poetry! I hope you'll come back here and share the link when it's in the Kindle store! @Ruthi: If you have a problem, Ruthi, you give me a holler! Remember, I'm a technophobe (or techno-moron) and I figured it out. :) Can't wait to hear how you like it! So you have convinced me to get a Kindle, probably the Paperwhite. Now, who is going to teach me how to use it when I do finally get it? @OhMe: Thanks for stopping by, OhMe. Nothing wrong with using an older model. And yes, they're perfect for long appointments like that - more reading than you could ever finish in six hours! I have really enjoyed my Kindle. I have one of the old ones but it works just fine. My husband has to have a 6 hr infusion every other month and I always make sure my Kindle is packed along with his snacks, pillow, etc. It has been great. Maybe one day I will upgrade. Thanks for this information. @C_Marie_Weber: So glad you're enjoying your K-Fire! Shopping online is something we haven't mentioned much around here - glad you brought it up! Thanks so much for stopping by! I just got my first one this year -a Kindle Fire. I love it. I used to have the simple eReader -no back light and it was miserable to try to read. My Kindle Fire does it all...plus I get to watch movies and shop online. @MJ Martin: It's a tough decision, no doubt about it. @MJ Martin: Glad you found the information helpful! paper white or HD, a lot closer to deciding than we were, thanks! Yes, this certainly helps, of course the photographer wanted that one, I'm slow to decide. @anonymous: Awesome! Glad I could help. There are some pretty great choices on the Lights for Kindle lens. Thank you so much for the visit and your kind words! Fabulous review! I had a normal Kindle for Christmas and I love it but do wish I could read it at night - so thank you for the link to suggested lights to add to it - I'll be getting one of those soon! @anonymous: Very glad to know that, antsea1984. I hope you'll come back and let us know which Kindle you chose. Great lens, some useful information here. I am looking to buy a Kindle so this lens was of great help to me. @hosibinh: Good to know! Likely most people just think about Kindle for casual reading, but it's certainly good for work and school as well. Thanks for that reminder! @DeborahDian: Something to look forward to! Let us know which one you get. This was very helpful information. I may buy another Kindle later this year. This is very useful and informative lens. I received from here many information. @Jayjaysciz: I'm glad you're enjoying your Kindle HD! Sorry about the charging problems. I have heard of that happening. I'd suggest contacting Amazon Kindle customer service to see if they have a solution or perhaps even a replacement for you. I haven't had the problem with mine, though I did recently buy a newer 5W power adapter and it works much better/faster than the old chargers did. I just realized that the 5W adapter is now included with the newer models - it wasn't before so I'm wondering if the style of adapter may be part of the problem. That's just a guess. Again, give customer service a call and see what they say. Thanks so much for your visit here and your comment! I have a Kindle Hd and LOVE it. Cant live without it to be honest but Im ready to upgrade to the HDX. My daughter is inheriting my older kindle. I have had a few of them over the years, started with the paperwhite and moved on to this one. Just a question Ive always wanted to ask other kindle owners, do you have problems ever with charging. I have had 2 kindles just quit charging on me. Just wondered if its me or if its an ongoing problem. Wonderful read by the way! very informative. @Merrci: Thank you for the feedback. Yes, a basic Kindle for reading would be a very fun gadget to add to your collection! What a great lens. You've included much info here! Makes me want one of each. Even though I chose an iPad, the basic smaller Kindle still appeals for books! Just can't have too many electronics! @evawrites1: Sounds like you do! @esmonaco: You'll love the Kindle Free Time feature for the grandchildren. Helps manage their time and what they have access to (games and apps as well as books). Get those kiddos reading on a Kindle and you might need a second one! @EditPhotos: I hope the lucky recipient is very happy! Excellent - working on a holiday gift Kindle - thanks! @Johanna Eisler: Glad you found the information helpful. When you get your Kindle, you'll have to come back and let me know how much you love it! Excellent lens! You have covered your subject thoroughly - and with a personal *touch*! I would love to buy a Kindle! You're making it easier to figure out which to choose! Thank you! @anonymous: Hi Liam, If you want to be able to edit documents, you'd need to have one of the Kindle Fire HD models and a word processing program on it (Office Suite Pro is a good one, currently 14.99). The large-screen version would be wonderful to have, but the regular screen fits your budget. An easy way to get a document from your computer to the Kindle is just by emailing the file to your Kindle - very quick, very simple. Accessories - make sure you have a good charger (9.99 if you order it with the K-Fire) and I'd recommend a stylus (very inexpensive) and of course a case - prices vary widely for those, it depends on exactly what you prefer. Shock proof is more expensive, obviously, but probably a good investment. I hope that information helps! Thanks for the article. I have some questions that I would really appreciate you answering. I am a first year university student (so budget is probably $200, although willing to go approx $250 if it really is a superior item) and I found myself wasting so much time printing paper (plus ink cartridges/paper quickly adds up $ wise!) and so was looking into a Kindle. So would I be able to use a Kindle to access lecture notes online (instead of printing) and would I be able to edit/make notes on the Kindle if I downloaded the lecture notes (e.g. downloaded the file as a PDF - would that work in a Kindle)? I also like reading, and do a lot of my reading at night when it's quiet and I can concentrate, so a bright screen would be good. 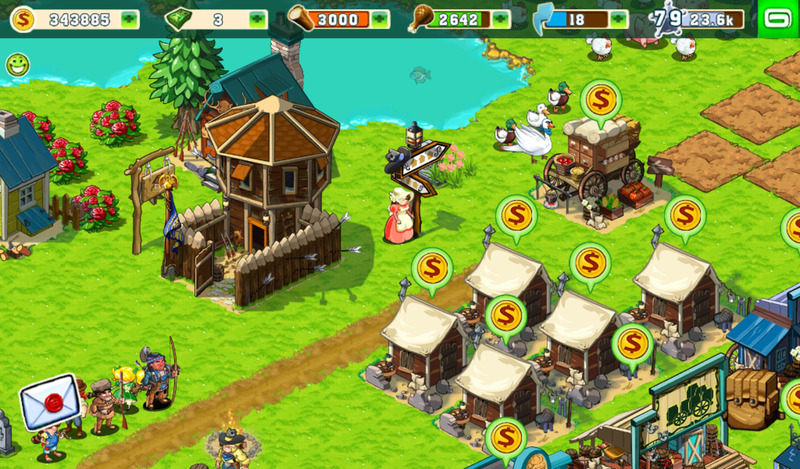 I'm not overly interested in games/apps, as I have an iPod touch that I have the usual games on e.g. paper toss, angry birds. Not too fussed about it. Having an iPod means music playing isn't necessary either, although I can foresee myself using a Kindle to watch TV shows if it could, but it is a secondary requirement. So, considering that (essential to be able to download lecture notes and edit, would be nice to have good reading capabilities + budget) what would be the best Kindle for me? Looking through your article it seems the one at $199 and the one at $269 are the most suitable for me? Also, how much would accessories cost, or how much did they cost you when you bought your first? (I will be looking for a water/shock proof cover, perhaps a starter giftcard to buy some of my favourite books, extra plug ins). Oh! Are any compatible with a usb/harddrive? Thanks. Thanks for your time and sorry if I have been unclear. 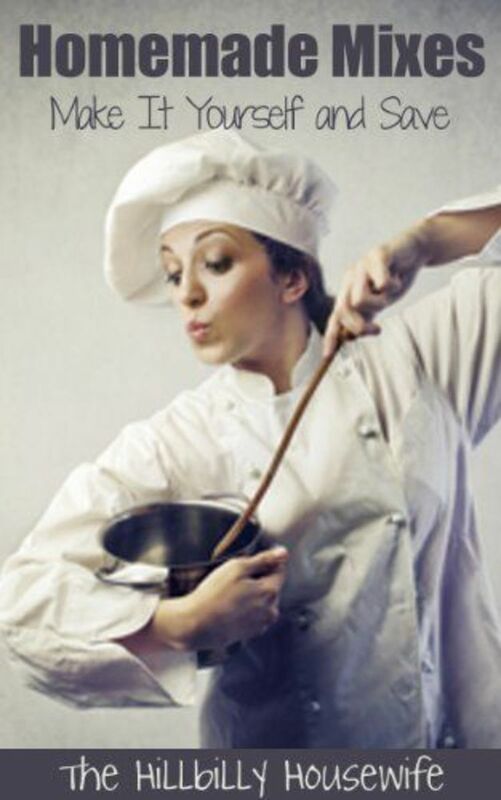 @Thamisgith: Thanks so much for the testimonial and your viewpoint. I love the 8.9-inch screen for watching movies/TV (streaming from Prime) but I still love my regular-sized Kindle Fire, too, for the reason you mentioned. Nothing wrong with a smaller screen when it's gorgeous and colorful the way the K-Fire screen is! We're big Kindle fans in our house - we have 5 at the moment (would be 6 but I gave one away). I am very happy with my simple little entry level Kindle - and I have a Fire as well, but I never read on it. I will eventually upgrade to the Paperwhite - but it will most likely be a birthday or Xmas gift from someone else (that's how I got both my current Kindles). Not sure if I really fancy the Fire 8.9. I quite like the smaller size displays. Easy to use with one hand and such. Hi my name is pr9me. The Kindle's are the best thing since sliced bread. I highly recommend one, or two! The Kindle is awesome. I love the Kindle Fire! Thanks for the great info! I now know what direction to go in. @TonyR2012: Thanks! And you're absolutely right about Amazon Prime. I wouldn't be without it! I personally think a Kindle Fire would be a great Valentines gift for just about anyone. Thanks to Amazon Prime there's something there for everyone from videos to book lending and more. Great lens Susan! @Alessandro Zambon: Thanks for those kind words! I have an original Kindle. I am going to upgrade to Fire asap. Gifting a Kindle is always a good idea, and this lens is spectacular, because apart the Kindle there are a lot of cool ideas for who has got it yet! @safereview: Thanks! I appreciate your take on the Kindle Fire HD, too. Good to know your wife is enjoying hers! I bought my wife a Fire HD for Christmas and while I was already a fan of the Kindle from everything I had read, it surpasses anything I expected. Watching HD movies on our bigscreen using an HDMI cable from the Kindle and Amazon's free for Prime movies is awesome. Anyone on the fence about tablets, get the Fire HD. For the money nothing comes close. My wife takes it everywhere. Awesome review Susan! @anonymous: I'd love if you'd come back and let us know when you upgrade your Kindle! @LindseyKrelle: Ah, size and weight. Great points for the Kindle column on the pro-con list! @WordChipper: Glad to know that, and you are more than welcome! @katiecolette: Thanks for letting people know that! Have fun with your K-Fire! We already have a Kindle Fire and love it! I recommend it to everyone.